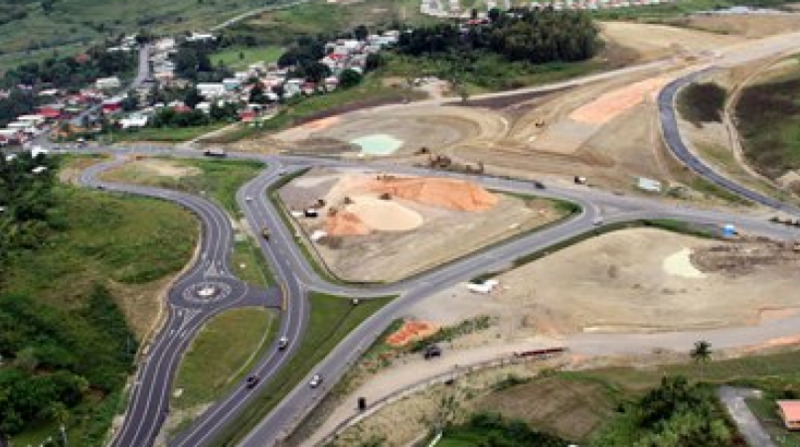 Construction on the Point Fortin Highway is expected to resume as early as late March. The project’s resumption was announced by Prime Minister Dr Keith Rowley on Wednesday along with a number of road infrastructure developments and hospital constructions. Tenders are expected to go out during the course of the January, to which Rowley expects a good response from local contractors. He also revealed that a consultant has been hired on the Valencia/Toco Highway project and the route has already been approved. Work on engineering designs for the project is expected to take a large part of 2017, after which contractors will be invited to bid to build segments of the highway, as is being done with Point Fortin Highway. The Toco port will be approached on a design/build basis. Tenders for the first phase of the Cumuto to Manzanilla Highway will go out for early March, with construction expected to begin by the end of April. Meanwhile, Cabinet will appoint an evaluation committee to look over proposals for the operation of the Couva Children’s Hospital. The committee will then advise government, which will in turn determine what is done with the facility. Former Permanent Secretary at the Ministry of Finance, Allison Lewis will chair the committee, while former head of the Public Service Sandra Marchack, Dr Stacy Chamely, businessman Zaheer Ali, former head of the Nurses’ Council Gwedolyn Loobie-Snaggs, a quality surveyor, and Dr Robert Hosein are members of the committee. The Prime Minister also noted difficulties which have so far prevented the relocation of the Ministry of Agriculture to its new Chaguanas office. An assessment by the Ministry of Works revealed that the building is not up to structural standards. Retrofitting work is expected to be completed on that building in the “not too distant” future. Government intends to invite proposals for the occupation of the St Clair building the Ministry currently occupies, when it relocates for use as a “high class hotel”, as it is the intention of government to promote Port-of-Spain as a convention location. The committee will be chaired by Chairman of Eteck, Imtiaz Ahamad, while business executive Robert Green, businessman Christian Lowe and another individual will serve as members of the committee. Government intends to proceed with work on the Point Fortin hospital, but Rowley noted that there are some “difficulties” in terms of financing on that project. Construction on the hospital will have to be carried without the benefit of a government to government arrangement. The Arima Hospital was supposed to be constructed under a similar arrangement, but the Prime Minister said nothing was put in place to carry out that plan. Finally, noting the need for a hospital in the Eastern part of the country, Rowley revealed that a site has been chosen for a new hospital in Sangre Grande. He noted that the current structure is antiquated and staff deserves to be congratulated for the work that they have done. The funding of the construction of the new hospital will be the subject of “future conversation”, the Prime Minister stated.